This entry was posted in Blog and tagged Golf Coaching Rustington, Golf Coaching West Sussex, Golf Lessons Rustington on February 8, 2019 by Russell. Want to Save Shots Without Changing Your Swing! Statistics in Golf. Dispel some myths that could be holding you back. Learn how to game plan and develop a course strategy based on your handicap. Learn your club distances so you can make the right decisions. Develop a Pre-Shot routine like the professionals . 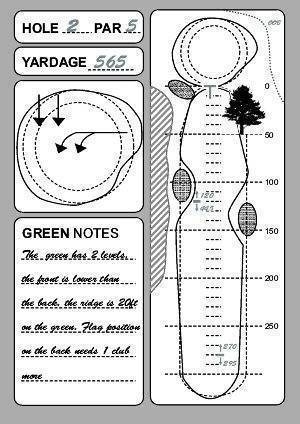 Develop a decision process; club selection factors: yardage, wind, ground conditions, air temperature, time of day, lie, slope. Develop a playing process to help develop consistency. Fancy Joining in? Limited to 8 people!! If you have a playing handicap and want to experience this, then book here! This entry was posted in Clinics and tagged Golf Coaching Rustington, Golf Coaching Sussex, Golf Coaching West Sussex, Golf Lessons Rustington on July 2, 2018 by Russell. The golf season is almost here. Get yours off to a scoring start! You are invited to my first clinic of the year. Are you hitting the ball well enough tee to green, but not scoring as well as you should or need? Do you duff, fat, or thin the ball around the green? Do hitting pitch and chip shots cause your worry or anxiety? Do you have any fear when hitting a pitch over a hazard? Are you losing to your playing partners because of their superior scrambling skills!? Are you missing greens, and not getting up and down enough? Fed up of throwing shots away around the green!? Do you want to shoot better scores and get your handicap down more? Do you ever wonder how the tour pro’s hit that lovely low spinning shot around the green? Or do you simply need and want a better short game for your best golfing year yet!? If one or more of these statements is true, then my first clinic of the year is designed for you!? This is not like your normal golf lesson with me, this is a clinic. A whole afternoon of short Game instruction and quality practice. Come along for a half day of expert instruction and practice that will teach you a lifetime of scoring skills. When did you last practice your short game for 4 1/2 hours? How does this clinic work? This entry was posted in Blog, Clinics and tagged Golf Coaching Rustington, Golf Coaching Sussex, Golf Coaching West Sussex, Golf Lessons Rustington, Golf Lessons West Sussex on March 15, 2018 by Russell.